So you may know that I woman who plays many roles. But you may not know that one of those roles is as a Masters student! I am pursuing an online, distance Masters in Digital Technologies for Language Teaching with the University of Nottingham. 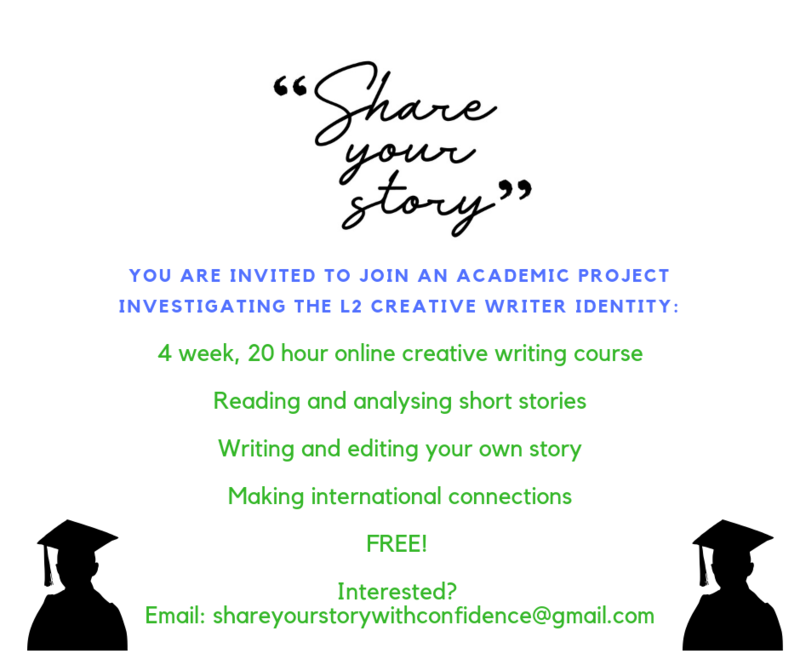 I am interested in the L2 Creative Writer Identity. And my dissertation project will be an online creative writing course! I hope to run it in Summer/Autumn 2019, it will last 4 weeks, and it will be free*. If you are interested in participating, please email me directly. Can’t wait to see you online soon! If you are curious to know how the last one went - check out the beautiful stories that were written here.